Sew! Can! 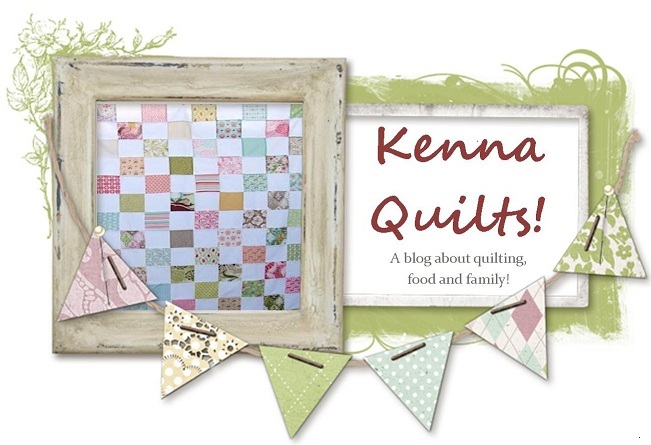 Kenna: Work in progress....Thursday! I had grand plans to blog yesterday. And then all hell broke loose. Literally :) We all survived, but it was a series of unfortunate events that sent my Father in Law to the hospital for an overnight stay (he's going to be ok!) and the little dude to the hospital (unrelated to FIL, and he too is ok) and my poor husband is on a business trip overseas and so last night was one giant game of telephone. I, however have been on a roll lately and have finally found my sewing groove. Here is the latest top to be completed (This is Radio Way by Jaybird Quilts.) I bought a kit at the Long Beach Quilt Festival from Julie herself and it's languished in the sewing room disaster area office until now. It's a birthday present for a very very dear friend and I hope to have it quilted up soon! This top came together very very quickly (4-5 hours of sewing/cutting/pressing) and it's nearly twin size. I am going to quilt the white areas separate (I think. Or at least that was the plan) to make them POP from the rest of the quilt. It looks crooked, but it was a bit breezy when I was taking the pictures and it's not. It lays very flat and I have to say that I'm as proud of the back of this one as I am the front!! I did have a boo boo moment while making the quilt. I strip pieced this for speed and ease (rather than cutting the individual strips as the pattern calls for) and I had one boo boo. While cutting this strip set I got distracted and cut it wrong. So I didn't get my full 4 blocks from each strip set. So I pieced it and you can hardly tell!!! I've got these three beauties waiting to be finished as well. It's destined to be Kate's bed quilt when she upgrades to a "big girl bed". We are going to paint her room a soft grey and this has all the pastels to accent with....I can choose pink, green, yellow, or orange to decorate with...it's a win! I don't want to pick a color so I'm struggling with a border choice. Hmmm. For all the chaos, you got a lot of stitching done. All just lovely.